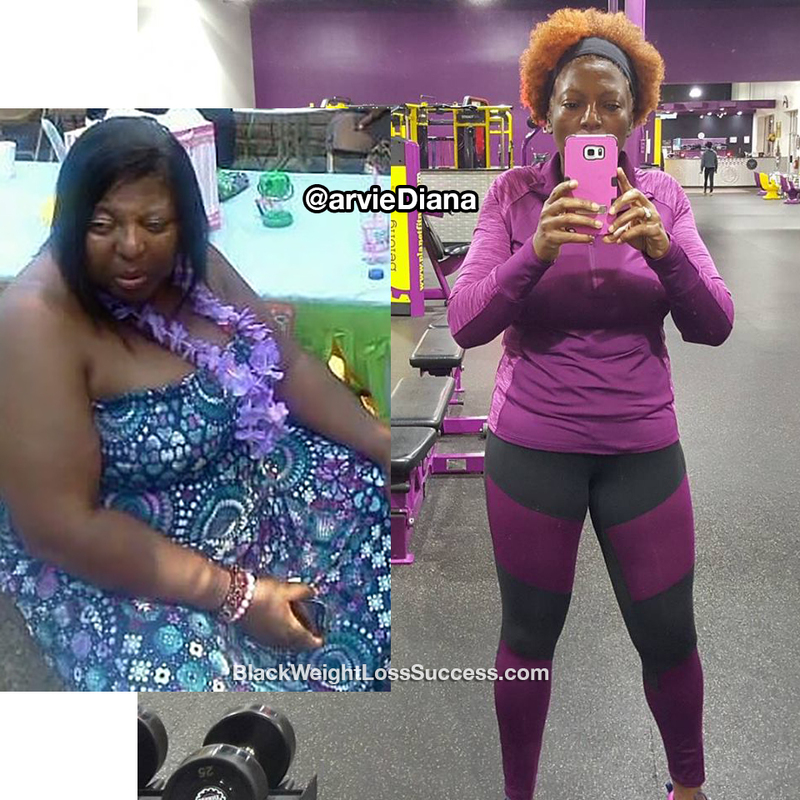 Transformation of the Day: Diana lost 165 pounds. After treatment for breast cancer, her doctor encouraged her to embrace exercise and healthy eating habits. It took a few years, but she was able to adopt a new mindset. Going plant-based and exercising regularly has changed her life. Check out her journey. In 2009, I was diagnosed with breast cancer. When the treatments were completed, my doctor told me that if I worked out and ate right it was possible that the cancer wouldn’t come back. It took a few years for me to say, “I have had enough.” and change my ways. I really had to change my way of thinking. I started working out six to seven days a week. I do cardio, weight lifting, walking, and running. I transitioned to plant-based diet and my main drink is water. I also drink a protein shake everyday. It’s been six years since I changed my lifestyle. My starting weight was 330 pounds. 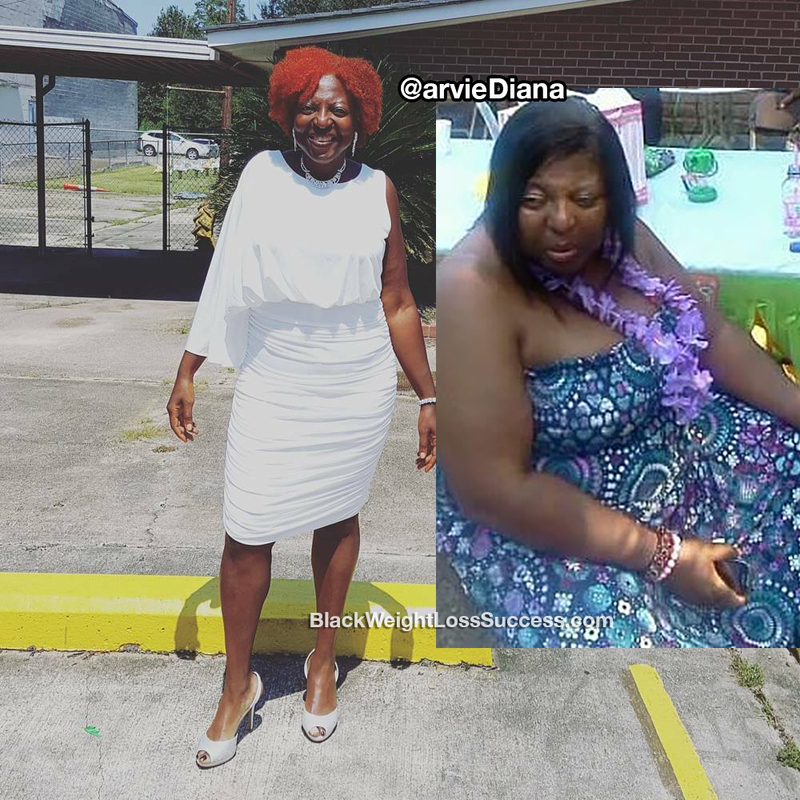 I have lost a total of 165 pounds. I’m 5 feet, 6 inches tall. In the past, I had sleep apnea, leg pains and shortage of breath. I’ve gone from taking several medications to taking none. Now, I only take one vitamin a day. My biggest lesson: Don’t take your health for granted. I will never go back to the way I was. Know that if I did it, you can too. Just believe! It’s a mindset… Looking at it this way was the only way I was able to change my life. I hope that sharing this helps someone! Good job. You look great. You look great. Motivated me yo get back in my grind. Thank you for sharing your story. I have been toying with the idea of going to a plant based diet. I tried it for a week and felt great! My challenge was finding quick recipes, for my then busy lifestyle, that I liked. I have ordered some books and plan to start right after Thanksgiving.